Remember Doug from the Nickelodeon cartoon show? 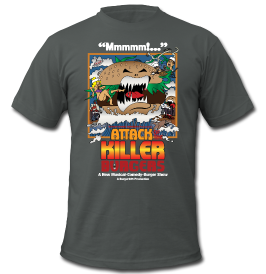 Well click on the link for a fun clip of him as “Hamburger Boy”. Here’s a little cartoon about a kid going out to get a burger created by artist Clémentine. Who remembers this classic burger scene from the movie “Better Off Dead”? 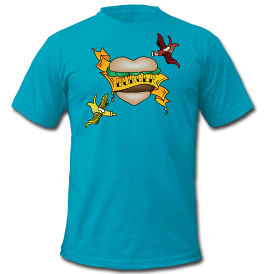 Found on the character Abed, here is a t-shirt with a large hamburger print on it. Abed is one of the characters from the TV show “Community” on NBC. You can watch this recent episode currently on HULU: Community – Season 3, Episode 10.